What’s so special about the sequence 1, 1, 2, 5, 14, ...? First described by Euler in the 1700s and later made famous by Belgian mathematician Eugène Catalan, the Catalan numbers take on a variety of different guises as they provide the solution to numerous combinatorial problems. 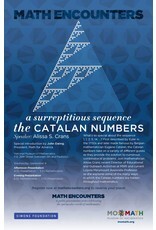 Join mathematician Alissa Crans, recent Director of Educational and Outreach Activities at MSRI and current Loyola Marymount Associate Professor, as she explores some of the many ways in which the Catalan numbers are hidden throughout mathematics. 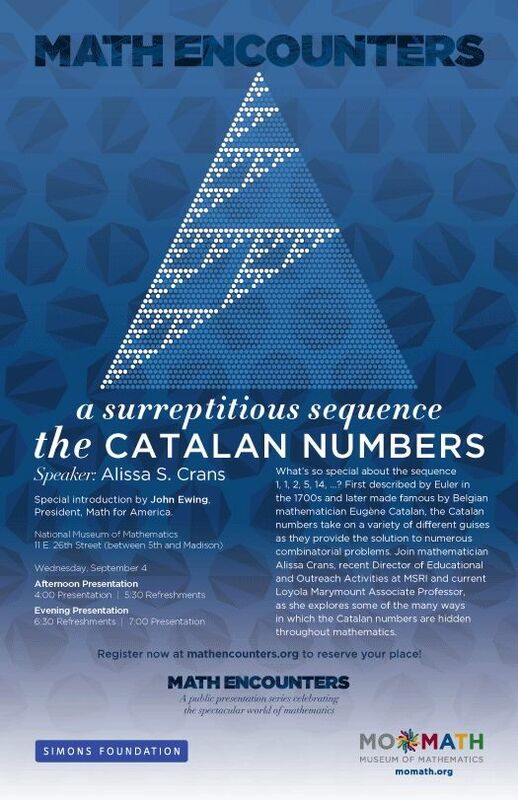 Alissa will be introduced by John Ewing, president of Math for America.